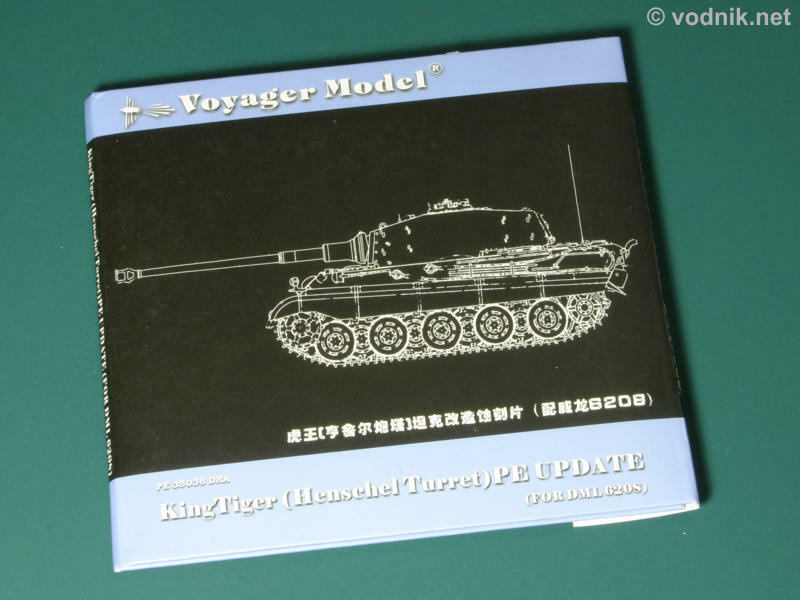 In one of my previous reviews I examined Voyager's photoetched update set for Dragon model of KingTiger with Porsche turret. 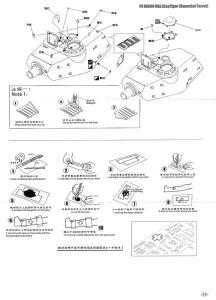 Now I received a similar set for review, but designed for the Henschel turreted version of the Dragon kit. As both sets are very similar I will not repeat what I already wrote before, so please read my review of Voyager PE35025 set first. 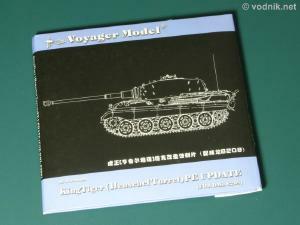 PE35036 set is packed in a Voyager standard thick paper compact disc case with instructions printed on three sides of two A4 size paper sheets and a resealable plastic bag with all parts inside. 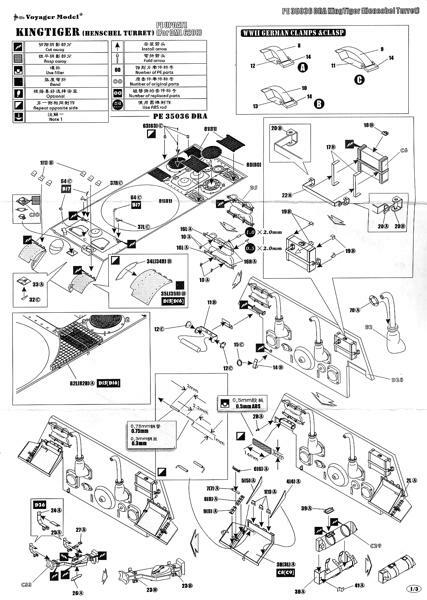 Most parts in the set are the same as in Porsche turret set and these aside from PE parts include ABS rods, wires, cables and piece of styrene. Two of photoetched frets were modified with new parts and one new small fret was added. Photoetched zimmerit applicators which were added to previous set are also present here. 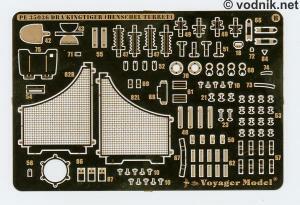 Fret B is very similar to the one from older set, but large engine intake meshes are now slightly smaller and new detail parts for the Henschel turret were added. 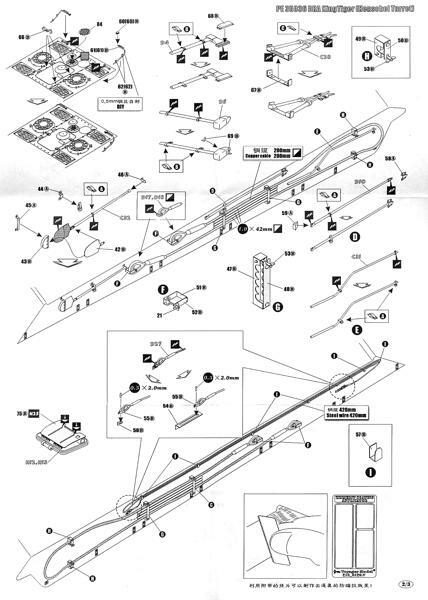 Fret C is almost identical to the one from the PE35025 set, with just two tiny new parts added. Completely new is one small square fret (24 mm x 24 mm) with various butterfly nuts on it. These parts are actually not necessary, as there is enough nuts on other frets to finish the model, so these can be considered spare parts, or used in other models. Fret B with modified engine grille meshes and some new parts. 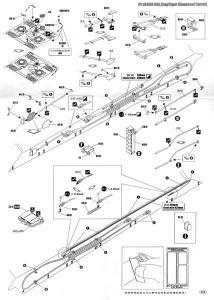 Click on picture to enlarge it. New fret with butterfly nuts and new parts added to fret C.
I was quite impressed with the Voyager set for Porsche turreted KingTiger and this set does not disappoint either. Once again I cannot comment on accuracy of parts, as my knowledge of WW2 armor is almost non existent, but design and etching quality is very high. 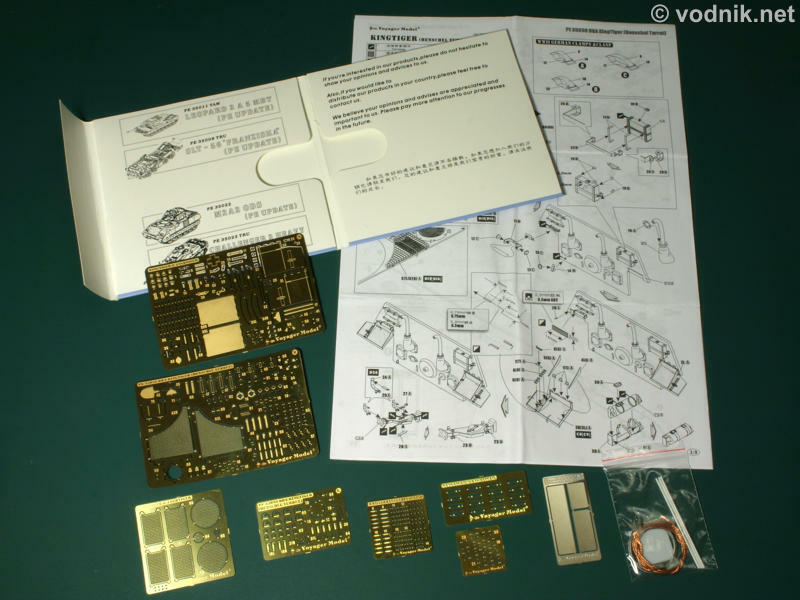 The set includes a lot of tiny pieces and assembly of some parts may be quite complicated, so it is recommended to experienced modelers.